A cheering crowd that is at its zenith of energy, players that believe in cut-throat competition and a venue that fascinates many with its architecture and build – this is how Dubai Rugby Sevens can be summarized in a sentence. It sees over 120,000 visitors each year who come to attend games being played in 6 different pitches at the venue. The attendees are not just residents of Dubai but many tourists also take to the city to be a part of this annual event, making it exciting both on and off the pitch. It is sure to be a delight for any Rugby lover – and this episode isn’t restricted to just 1 day, since it is a 3-day event that pits national and international players against each other. This event began about 40 years ago with the vision of a few British expatriates, and is now growing into an international event. The 1970s saw frequent improvements in the competition each year, helping it grow into what it is now. Considering the statistics, by 2006, the event had grown thrice in size compared to what it was in 2001. Al Awir venue, where the event was previously held, helped ease off the pressure of accommodating a large crowd because it had a seating capacity of 32,000. But this was not sufficient, and by 2008, the event had moved to a purpose-built venue on Al Ain Road. Besides the regular rugby competitions, the management keeps bringing in new activities and entertainment options for the attendees each year. Some of them are listed below but may vary each year. - Aggreko Dynamos cheerleaders entertain players and audience. These cheerleaders have become an integral part of the event and are as energetic in their cheering as the players are on the field. - A mascot named Sabaa is frequently seen at this annual event, dancing around and waving to the cheering crowd. It is aptly named, considering Dubai Rugby Sevens title itself. Sabaa means seven in Arabic. - Once the adrenaline pumping action and games come to an end, you can dance your shoes off at the well-known Rugby Rock concert. Children who are 12 years or younger are free to enter but adults have to pay Dhs 240 if the ticket has to be booked in advanced. However, if the tickets are bought for the whole event, it will be charged Dhs 400. Corporate bookings can also be done for a table, which has a seating capacity of 10 people. These can be booked for Dhs. 33,000. This will also provide access to VIP car parking, reserved grandstand seating, 5 complimentary drinks per person, and breakfast, lunch, afternoon tea and snacks. For information about the terms and conditions of corporate bookings, please click here. 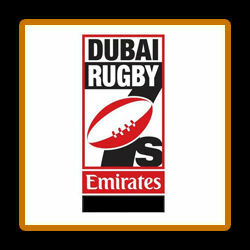 Dubai Rugby Sevens is a 3-day action packed event. Which means you'll need to arrange for lodging and a place to stay during the nights. The dates on which the event takes place may change each year. But it was held from 29th November to 1st December in 2012. Any Rugby team can take part in the event. If your team is interested, just fill out a simple form to show your expression of interest and somebody from the management will contact you. Reputed and experienced referees are also encouraged to be a part of this 3-day event. All appointments to the post of referee are made on merit and if chosen, the cost of travelling and lodging in Dubai will be borne by the organizers. Just send an email on the email address given below to get your application form. The Sevens, Near Camel Race Track, Dubai, United Arab Emirates. Since the event takes place in the outskirts of Dubai, there aren’t any bus stops or metro stations in the surroundings of the venue. The best option would be to either hire a cab or take your private car.